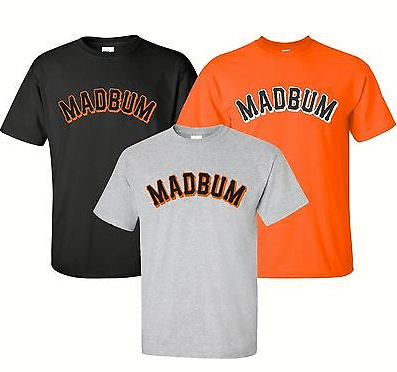 Bruce Horovitz of USA TODAY reports that underwear company Jockey handed out 2,000 commemorative pairs of underwear, labeled “Mad Bum” on the backside, to Giants fans at the World Series parade earlier today. The underwear is not for sale, so those that were lucky enough to get a pair now have a piece of history. “A name that’s a perfect fit for the Jockey brand” is wonderful. This entry was posted on November 1, 2014 at 4:02 am and is filed under Double entendre, Nicknames, Underwear. You can follow any responses to this entry through the RSS 2.0 feed. You can leave a response, or trackback from your own site.